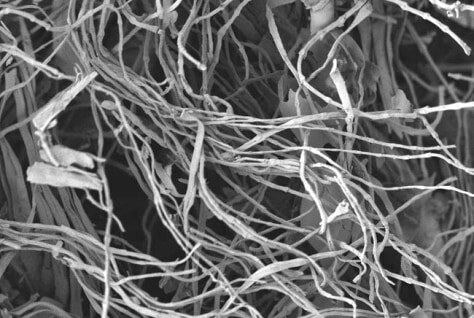 Chicken feather fibers (pictured) could help cars use hydrogen fuel in the future. When carefully heated for precise times to specific temperatures, hollow tubes form between the fibers, strengthening its structure, and becomes more porous, boosting its surface area and thus their capacity to store gas. The result is chicken feather fibers whose carbon-rich surfaces attract hydrogen.